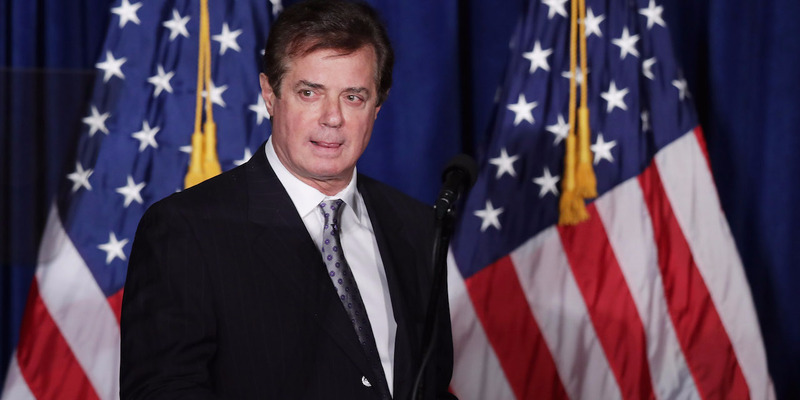 Former Trump campaign chairman Paul Manafort filed a motion Friday to suppress key evidence the special counsel Robert Mueller obtained against him last May. Manafort’s lawyers argue that the evidence was obtained unlawfully and its seizure violated Manafort’s constitutional rights. One legal expert said it is highly unlikely Manafort’s motion will succeed, given an important exception, called “inevitable discovery,” to the rules governing searches and seizures. Friday’s motion comes after Mueller’s office threw a wrench last week into the two main pillars of Manafort’s defence strategy. Late Friday, attorneys representing Paul Manafort, the former chairman of President Donald Trump’s campaign, filed a motion to suppress potentially critical evidence against him in the Russia investigation. FBI agents working for the special counsel Robert Mueller obtained the evidence last May from a storage locker in Alexandria, Virginia that belongs to Manafort’s consulting firm, Davis Manafort Partners, Inc.
Manafort’s attorneys argued Friday that any evidence investigators found from the locker should not be admissible in court because the FBI violated the defendant’s constitutional rights by executing an illegal search and seizure of the property. According to the court filing, an FBI agent first searched the storage locker on May 26, 2017 after obtaining permission to do so from a “low-level” DMP employee responsible for carrying out administrative functions. The FBI agent then “observed a number of boxes and a filing cabinet” and “some writing on the sides of some boxes,” the document says. The agent returned on May 27 with a search warrant relying on information he had surmised when he visited the storage locker the day before and subsequently seized documents and binders from the property. Manafort’s attorneys argue the evidence in question should not be used in court because the initial search was conducted without a warrant. They have also argued that the warrant itself was too broad and amounted to a carte blanche in violation of Manafort’s Fourth Amendment right against unreasonable search and seizure. Manafort is currently the subject of two indictments against him. One, which was brought in Washington, DC, accuses him of money laundering, failure to register as a foreign agent, and making false statements to investigators. The other, which was brought in Virginia, charges him with tax fraud, bank fraud, and failing to report foreign bank accounts. Most of the charges against Manafort relate to his lobbying work for the Ukrainian government and pro-Russia interests. Politico reported that the warrant the federal judge, Theresa Buchanan, issued authorizing the search and seizure of the locker’s contents on May 27 permitted investigators to seize any records related to Manafort or his longtime associate, Rick Gates. Whether Manafort’s motion will be successful is up for debate. Legal experts said, however, that it wasn’t a bad move on Manafort’s part and may be worth the effort and money, given the potentially damning sentence he faces if convicted in the Russia probe. Investigators almost always need a warrant when conducting a search of a property or records. However, one exception is if someone who appears to have authority over the premise consents to the search, former federal prosecutor Renato Mariotti wrote on Twitter. In Manafort’s case, the person who consented to the search was listed on the property’s lease, which could pose a setback for the former Trump campaign chairman. Another potential problem for Manafort is an exception, called “inevitable discovery,” to the rule surrounding search warrants, Mariotti said. Inevitable discovery is a legal doctrine that allows evidence of a defendant’s guilt that may otherwise be considered inadmissible to be used against them in court. Mariotti highlighted a few reasons why that that exception may apply in Manafort’s case. For one, he said, the FBI was aware of the storage locker’s existence before the agent conducted the initial search on May 26. Second, the DMP employee who consented to the search told the investigator what was inside the unit, meaning that the initial search simply confirmed what the agent had been told by the DMP staffer. “If Mueller can show (by a 51 per cent standard, not ‘beyond a reasonable doubt’) that he would have obtained the warrant without that quick look by the FBI agent, Manafort loses his motion,” Mariotti said. “The burden for the defendant is very high” if they seek to suppress evidence by arguing that a search or seizure was unlawful, he added. “Usually there needs to be a false statement or omission that would have caused the judge not to sign” the warrant. Manafort has pleaded not guilty to all the charges against him, and Friday’s motion comes as he continues mounting an aggressive defence in the Russia investigation. They do not relate to the focal point of the Russia probe – whether the Trump campaign colluded with Russia. Mueller’s mandate itself is too broad. But Mueller’s office filed new documents last week that threw a wrench into both pillars of Manafort’s defence strategy. 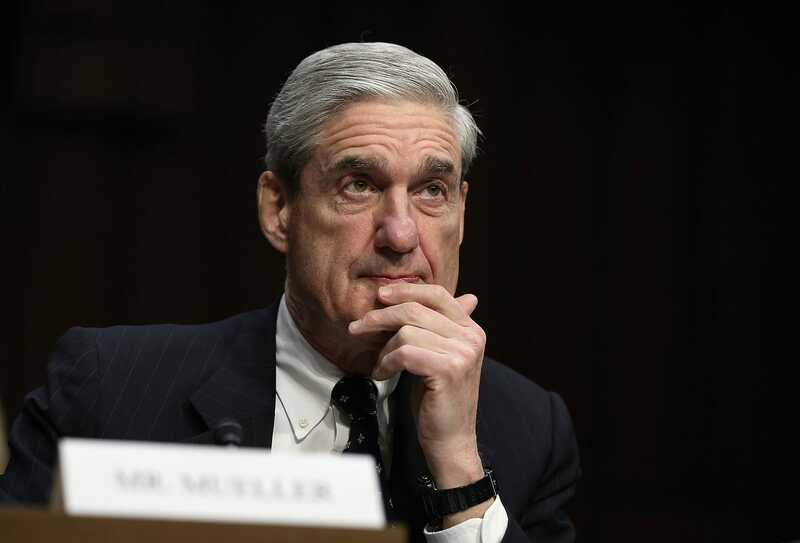 The filing included a private memo deputy attorney general Rod Rosenstein sent to Mueller last year, which said the special counsel is authorised to investigate at least two threads as it relates to Manafort: allegations of criminal activity arising from his work in Ukraine, and allegations that he colluded with Russian officials as Russia was trying to meddle in the 2016 US election. Mueller’s office questioned Manafort’s right to argue the validity of the special counsel’s mandate at all, saying Manafort had “no basis” to use that reasoning to call for the dismissal of his case. Specifically, Mueller’s office said the DOJ regulations governing the appointment of a special counsel were meant to provide a framework for the department’s internal structure. It said the regulations “unequivocally state” that they are not meant to “create any [enforceable] rights” in a criminal proceeding. The revelation indicates that Mueller’s focus on Manafort is shifting from examining his Ukraine lobbying work to scrutinizing whether he colluded with Russian officials while serving as campaign chairman. It could also indicate Mueller’s focus is broadening to Manafort’s relationship with other high-level campaign officials.